If you didn’t grow up hungry as a child, you probably have fond memories of the holidays. When the bell rang for the last time, you got two whole weeks of freedom from class. But for the one in five children who live in poverty, the holidays can be less-than-jolly, because they rely on school lunch to meet some or all of their nutritional needs. Over 12 million children experience food insecurity – and that doesn’t just mean they don’t always know when their next meal is, although that’s bad enough. Food insecurity goes hand-in-hand with poverty, and it can be accompanied by poor health outcomes, difficulties in school, emotional disturbances and much more. Advocacy groups and school districts are using a variety of tactics to address this issue, starting with programs to get people and communities out of poverty. But in the short term, there’s one very powerful option: the backpack program, which is often administered through a food bank that partners with a school. Schools have been participating in backpack programs for over a decade, but they’re starting to get more attention as they spread across the U.S. As you might imagine, they start with a backpack — one filled with food which may be shelf-stable, perishable, or a mixture of both. Some draw on community-supported agriculture and other sources of local produce, and they may include recipe cards to give people inspiration. The initiative is designed to give both kids and the rest of the family extra food. These backpacks can be customized to address concerns about food allergies and other dietary restrictions, and schools usually work on making the handoff discreet so low-income children don’t feel singled out. While backpack programs are primarily focused on providing weekend nutrition, they can help fill the gap during the holidays, too. And that’s where you come in. You can find out if your area has a backpack program by contacting the school district or a local food bank. If they do, they may have a donation wish list, as well as volunteer opportunities — and they’re also always happy to accept cash donations. Your contributions can help kids lead healthier lives so they can focus on learning and enjoying their childhoods, not stressing out about what’s for dinner. If your school doesn’t have a backpack program, consider getting more information about the school’s demographics to see if there are low-income students who might benefit from a similar program. Approach stakeholders like the local food bank, community children’s organizations and the school itself to explore the possibility of starting one and ask how you can help bring it into action. 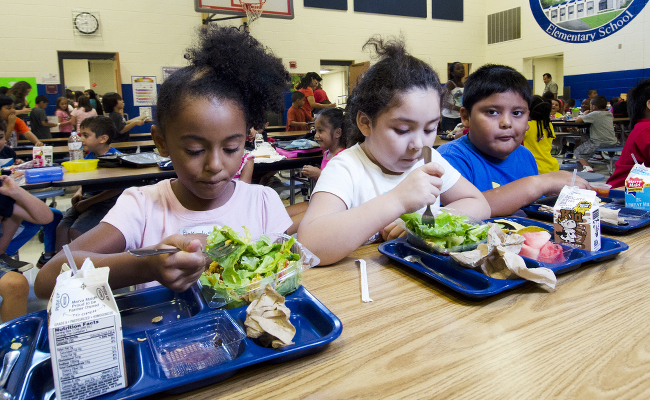 Be aware that issues around childhood nutrition and programs like these can get complicated. If you haven’t been involved with these challenges before, you may encounter some skepticism from people who feel like you appeared from nowhere to tell them they’re doing it wrong. A great idea. Too bad it's so needed in our affluent country!